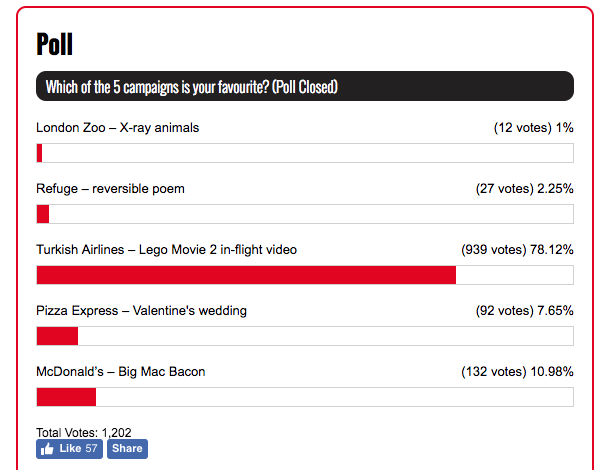 A one-sided contest between PRWeek's five favourite campaigns in February was won – with more than 900 votes – by Turkish Airlines for its Lego Movie 2 in-flight safety video. 'Directed' by Lego Batman, the campaign ran alongside the release of the film and built on the extraordinary popularity of the original. 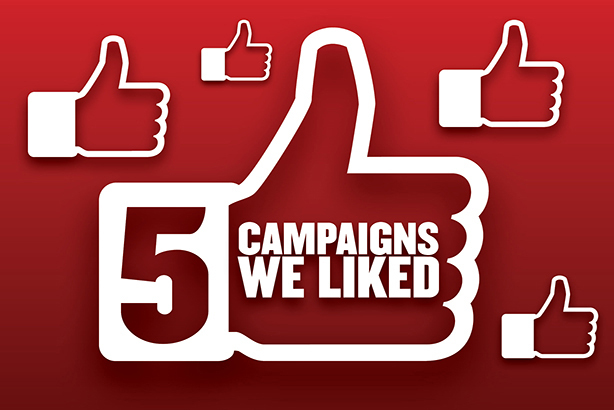 In a distant second, with 132 votes, was the McDonald’s Big Mac Bacon campaign starring the Redknapp family – a viral sensation that the fast food company said was its most successful UK influencer campaign. After the success of the original last year, with 20 million views in its first month, Turkish Airlines sensibly commissioned a Lego Movie safety video sequel, to coincide with the release of the franchise's new film. 'Directed' by Lego Batman, the video stars Emmet, Lucy, Unikitty, new star Queen Whatevra and more going through the in-fight routine while visiting many of the destinations that Turkish Airlines flies, including Rome, South Africa, Hong Kong and more. Production lasted 979 hours and the creative process involved 400 people, including 252 extras. It features 24,000 Lego mini-figures in the crowd for the Super Hero Cape Town match and 20,330,795 Lego bricks used to build all the locations.